This room contains a very comfortable double bed. This large room has solid wood flooring. The room is south facing making it a very light room, with wide open views from this room across the fields towards the Somerset Levels. 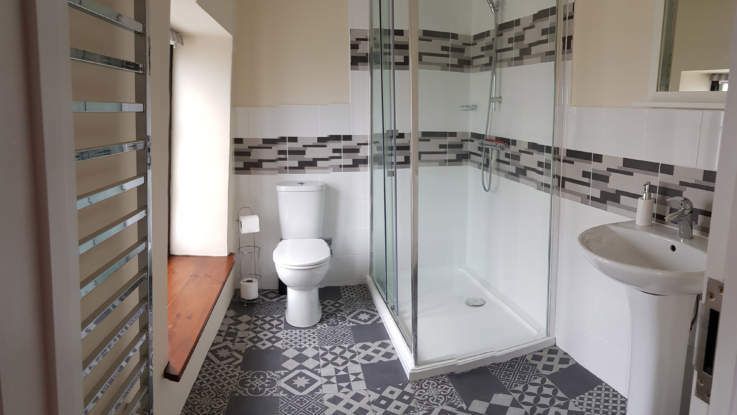 The luxurious bathroom offers a great place to freshen up, with a very large shower cubical, then wrap yourself in a luxurious towel and relax.